Your one stop shop for roller ski gear in Australia - high quality gear at competitive prices! Distributor for Swenor Roller Skis, SKIPAC and Pro-X Walker in Australia. We are two Norwegian girls living in Perth, Western Australia, who are very passionate about skiing! 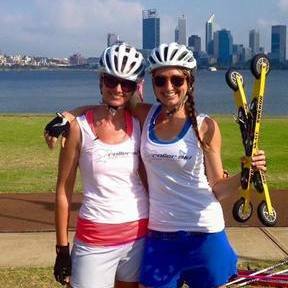 Our mission is to spread our passion for cross-country skiing through roller skiing in Australia. Our goal is to share knowledge and awareness about the sport and have the best gear available! Roller skiing is for everyone and we want to see more people in Australia enjoy this amazing and fun sport!